This week is the time to see some really innovative weaving by three completely different artists. 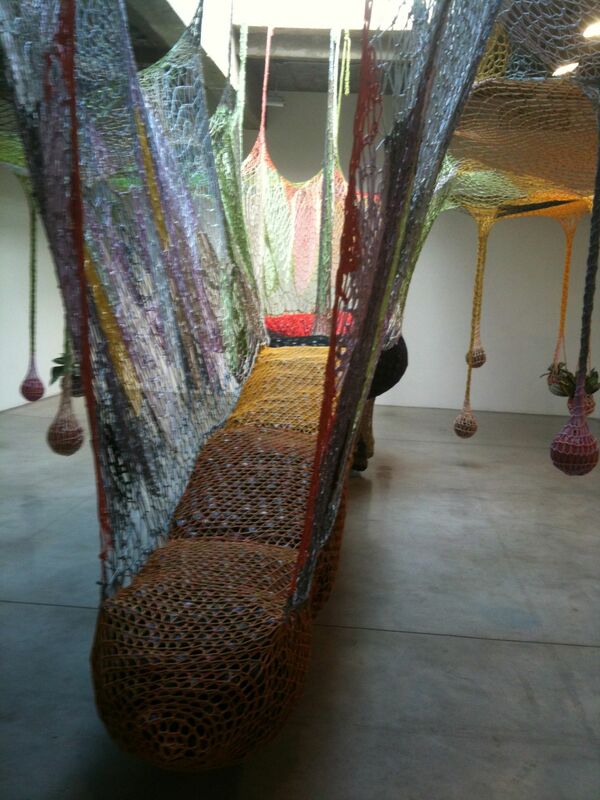 In Chelsea, relax into the colorful crocheted poly-chord environmental sculptures created by Brazilian artist Ernesto Neto at Tanya Bonakdar’s 21st Street Chelsea gallery. The participatory experience is more intimate than Neto’s Park Avenue Armory installation three years ago, but features his signature dangling spice-filled pods. Be sure you climb to the second floor to recline on the Blue Hammock and Green Hammock. Enjoy the photos here, but experience it all in person before the final day, May 25. If you missed Sheila Hicks’s 50-year retrospective last year at Philadelphia’s ICA, celebrate her achievement at Sikkema Jenkins one block away on 22ndStreet. The array of fiber work from 1958 to today is cooler and more high-concept. Runs until June 2. At Columbus Circle, meet young Brooklyn artist Aricoco upstairs at the studios on the 6th Floor of the Museum of Art and Design. 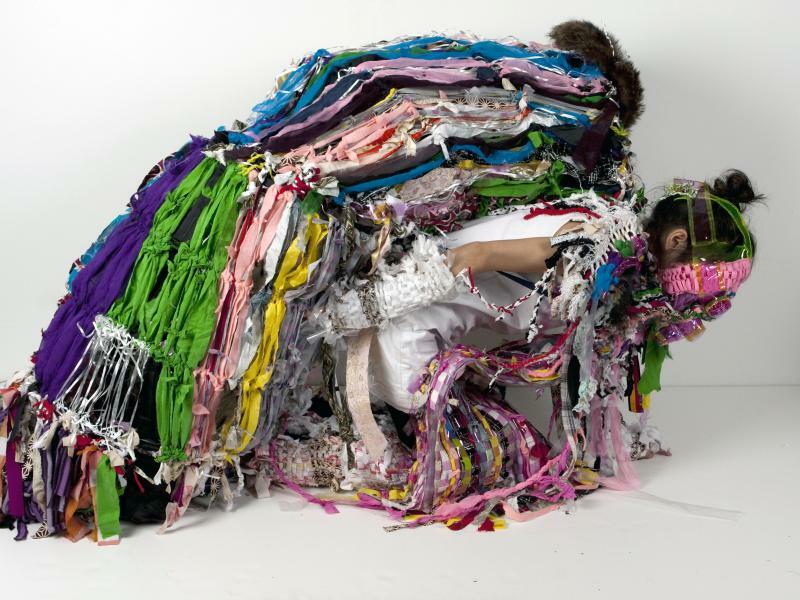 Known for her interdisciplinary works and performances, such as her RUNawayHOME cocoon, ask her what she’s weaving out of the red and white plastic shopping bags she sourced in Chinatown. This entry was posted in Art, Museums and tagged art, arts, culture, museums by mssusanb. Bookmark the permalink.